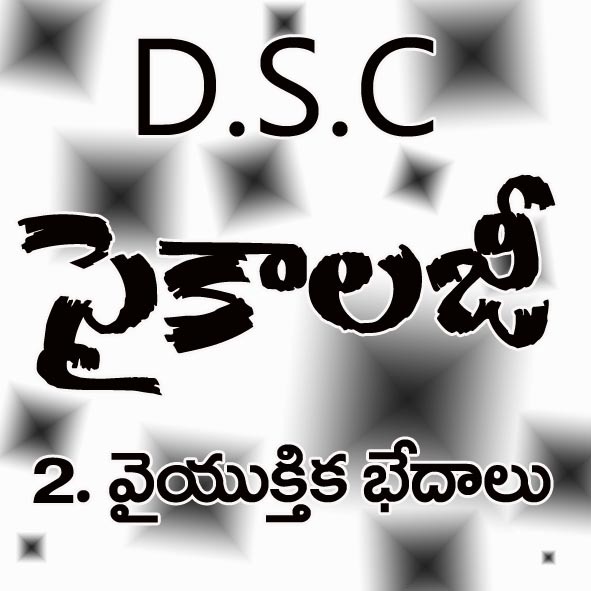 DSC Notification will release soon in both Andhra Pradesh and Telangana States. In this DSC Examination, Psychology Subject plays an Important role. Each and every aspirant who wish to get job in DSC, he must get compleate understanding on Psychology Subject. Here, NavaChaitanya Competitions, gives you a woderful study material DSC - Psychology Study material in the Chapter Vayukthika bedhalu, Individual differences, Concept of Individual Differences, types in individual differences, Factors influencing Individual differences, Complete Discussion about Pragna (intelligence), Srujanathmakatha (Creativity) and other Individual dirrerences . . .